Don't forget to follow me on Instagram for all the FFFWeek craziness that probably won't make it to the blog. thank you! 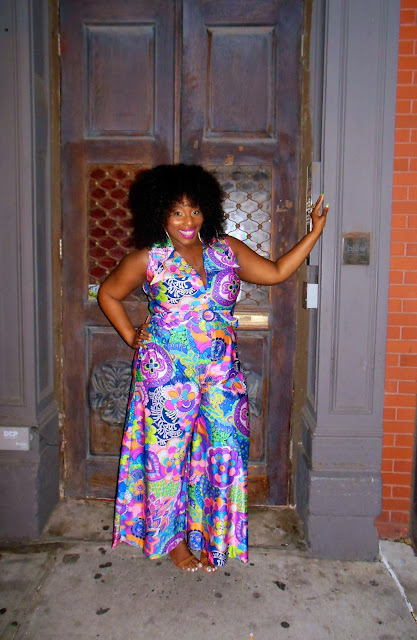 i've been loving jumpsuits for the past couple of years; its just hard finding one that fits correctly. Honey u make this 1970s goodness look AMAZING!!!! I love the lippie too! You look amazing! Love the colors on the jumpsuit. I live! I loveee your style! I love your jumpsuit! Honey! Now that is jumpsuit heaven.